Imagine you are “Sheila”. Widowed seven years ago, you recently made a decision to fulfill a lifelong goal: to live out your retirement in the Caribbean. For you, that decision may mean spending the bulk of your year on the north coast of Dominican Republic. As a condo owner, your concerns about maintenance are minimal and generally only a phone call away. Once a week you have a housekeeper that comes in and does a thorough cleaning. Most of your destinations throughout the day are within walking distance and for those that aren’t, they are a quick drive along the coast, just out of town. Your days are filled with everything from yoga to art classes, early afternoon bingo at a local pub with friends to happy hour drinks on the beach. Your network of friends is robust and you realize that you feel a strong connection to where you now call home. The decision to choose to retire in the Dominican Republic may seem obvious. However, beyond the obvious, there are many other residents here that will attest to the fact that there are a few surprising benefits about choosing, for example, the beach towns of Cabarete and Sosua, on the north coast as a retirement destination. Compared to the rest of the Caribbean, property prices in the Dominican Republic are still relatively low. 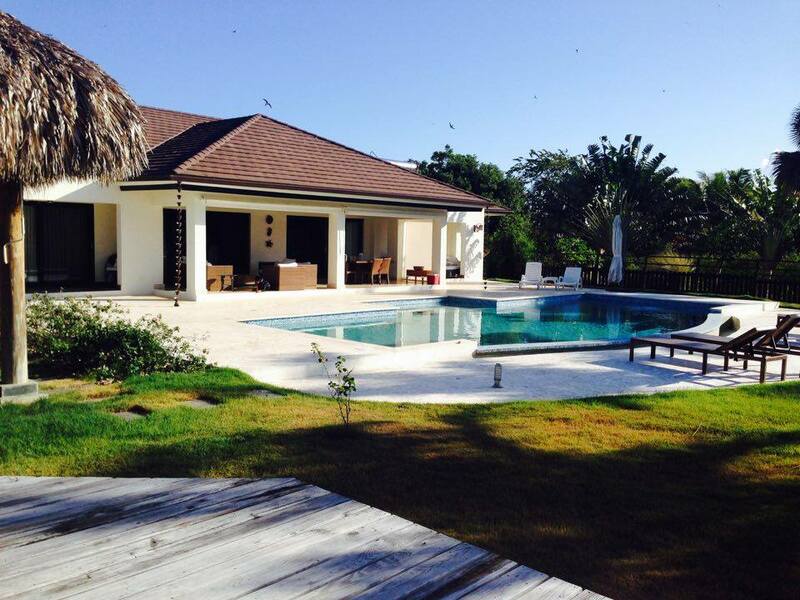 As stated in a recent article in the New York Times, luxury property prices in D.R. start at around $100 USD per square meter. Basic condos with considerable amenities are as low as $130,000 USD. Not only is this good news for would-be property owners looking to make the most of a fixed income, it’s also a reflection of the investment potential for the years ahead. 2. The ease of owning a condo for both living and renting. The Dominican Republic is a very popular vacation destination. Many condo owners choose to block out time each year to reside in their home, and then trust respected property managers to handle lucrative rentals for them when they are not in the country. 3. Affordable and thorough health care is within a few minutes reach of most residential areas. At the top of mind of many retirees is quality health care. This is more than understandable – and on the north coast of Dominican Republic, it’s a pleasant reassurance. Private, effective health care is accessible in Puerto Plata, Sosua, and Cabarete. In addition to medical care, there are chiropractors, physiotherapists, acupuncturists, naturopathic doctors and massage therapy clinics. There are an active health provider community and numerous health fairs throughout the year where local residents can meet and learn about what’s available in the community for them to access and benefit from. 4. An extensive selection of groceries and fabulous restaurants. Due to the cultural diversity on the north coast, there is a wide variety of grocery stores and restaurants. There is also an emphasis on healthy alternatives and many businesses that support a holistic, healthy lifestyle. The restaurant industry is a direct reflection of the cultural diversity in the community and many residents enjoy a rich dining experience. 5. An easygoing and welcoming community. One can’t underestimate the power of relationships and connections. Time and again, what is most often spoken about on the north coast is the connection of the community, the strength of the bonds and the sense of belonging that is accessible to all who choose to settle in and connect. The population the north coast is a reflection of the global village. Residents and short-term visitors alike are from all over the world. This global representation helps to create rich and diverse relationships and cultural connections. 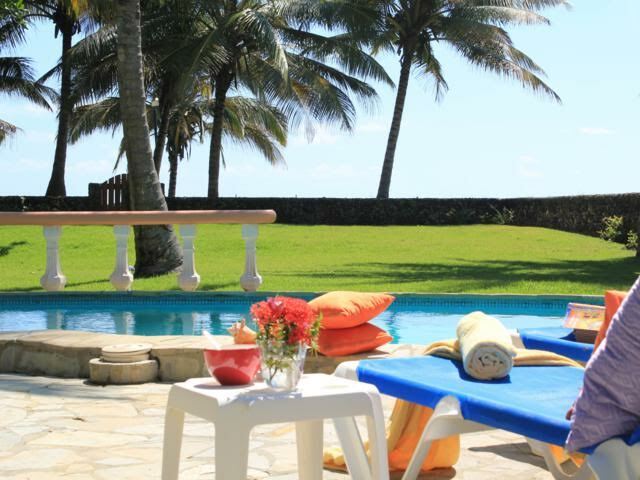 To find out more about what a retirement property can look like for you in the Dominican Republic, contact us today. Could This be YOUR Caribbean Dream Home? If you have ever wondered what your own Caribbean dream home could look like, this might be the home for you! Many people dream of owning a home in the Caribbean – are you one of them? As real estate agents, there are aspects of different properties that capture our attention as well. This particular property has many things to appreciate, but we thought we would give you some of our personal favorites. What this really means is peace of mind, both when you are home and away. The luxury is evident when you see the property and the added peace the owner will have allows them to enjoy that aspect at all times. High on a country hill and surrounded by over 10,000 square meters of beautifully landscaped property, it’s hard to beat the location of this beautiful home. The land is well preserved and maintains its natural beauty. The surrounding area is perfect for trail riding. Because of this, some residents keep horses on their property. You don’t need a horse to enjoy it, but you might find yourself looking for one as soon as you move in! 3. The home is designed by an award-winning architect and built to the highest standards. It was built by the well known Nazario Construction Company from Puerto Plata. Designed to be very low maintenance, it’s engineered to exceed local structural standards. It’s also complete with solar panels and inverter/battery bank. It contains 3 bedrooms and 3-1/2 baths. The spacious open-plan living and dining area includes a luxurious custom mahogany kitchen with granite countertops. The building size is approximately 350 square meters (about 3650 square feet) including terraces and utility spaces. As a bonus, the location of the house produces refreshing breezes to all rooms! 4. The surrounding area is showing strong economic growth and a thriving property market. The green hills behind Cabarete and Sosua are home to a select few luxury gated communities. Prices right now in the Dominican Republic market are still modest compared to most of the Caribbean. Now is the time to invest in property and this might be the perfect place to do that. There is also a strong, lucrative tourist market in the area. Because of this, many owners rent their properties during certain seasons. 5. This Caribbean Dream Home is a perfect fit for a Caribbean lifestyle and a great investment property. This villa would suit many lifestyles. It’s a perfect size and easy to maintain. It’s also set up for privacy for the owner yet has enough space to entertain several dozens or just a couple. AND it may be the perfect dream villa for you! The Aman Resorts announced for the 4th quarter of 2015 the launch of its second Caribbean Resort on the north coast of the Dominican Republic. The resort will be become the first golf-integrated Aman and will adjoin Playa Grande Golf Curse. This will be an absolute highlight for the north coast. Select Caribbean Properties agents are prepared for this moment and listed already a while ago many fantastic real estate properties like affordable houses, farms and luxury villas in the town for Rio San Juan, El Breton, and Cabrera.